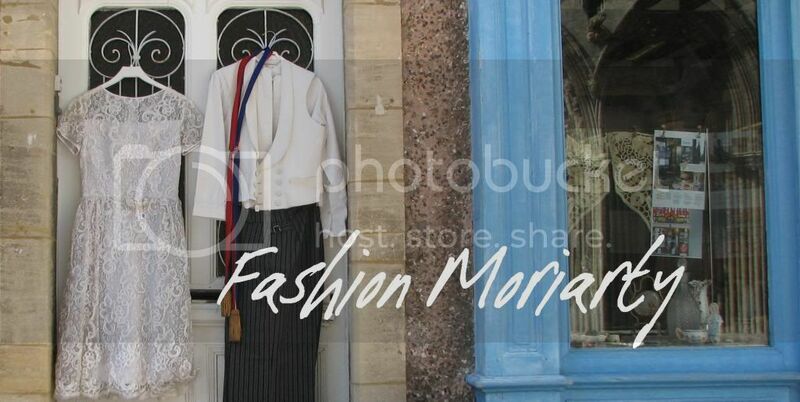 Fashion Moriarty: How do you define British Style? I'm currently writing an article about British style icons, and it has got me thinking about the collective British style. It seems to be cheeky, rebellious, but often respectful. At the centre of it is always some sort of view about the monarchy, the establishment. That's how I see it anyway, and that's how I've portrayed it in the collage I've made above. I'd like to know what other opinion on British style are. 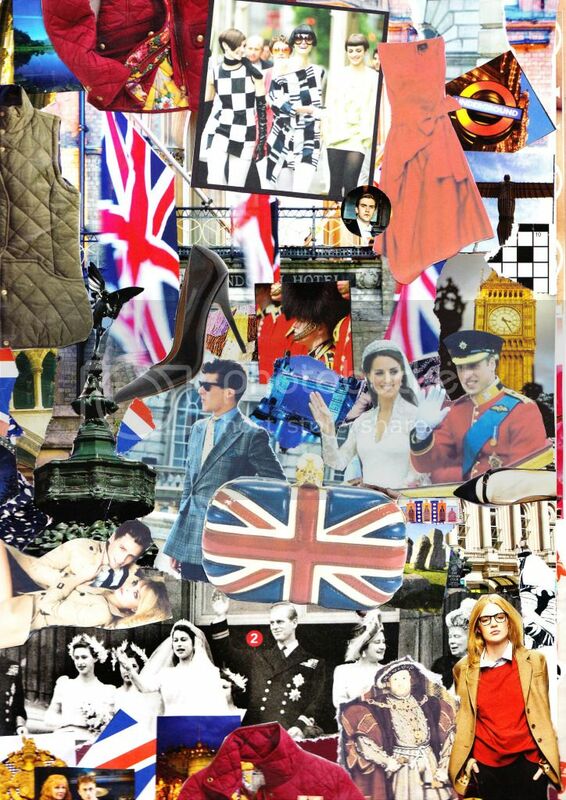 If you have any ideas about how the UK is perceived in the international world of fashion, or perhaps how British your own style is, please comment below or tweet me @fashionmoriarty about how you see it. I'm interested in views from every nationality, as it will be good to have all sorts of perspectives from both the inside and the outside. Thank you! I'm English (I see you're in Winchester, I went to uni there for 5 years. I loved it!) but I can't see the "British style" thing. Ask me about French, Italian, American and so on and I could define it but not British. It's odd. I'm British, but have lived in the US (New York) as well for a short time. I feel like other nationalities looking from the outside in see British fashion as quite "innovative"/rebellious, creative/arty, etc - but I don't see it as half as crazy as my friends in the US seem to think it is! However, I also feel like international opinions on British fashion will be going through a period of change; the reason we're seen as so rebellious and arty is because most British fashion icon celebrities have been quite alternative in aesthetic - think Kate Moss, Alexa Chung, Alice Dellal, etc. - and all of the big British designers kind of design to reflect that image. We haven't had an appropriate but glamorous "First Lady" figure like Michelle Obama in the US or Carla Bruni in France. We did try to send Samantha Cameron to LFW for a season or two, but, really, was that ever going to turn her into an international style icon?! However, now we have Kate Middleton, so I think her classic, almost Northeastern American (which derives from heritage British fashion... everything goes round in circles! ), style is going to change how people overseas see modern British fashion, and even how British designers design. (Take a look at upper-middle range British stores like Hobbs and Jaeger this season - much more classic, much preppier, bows galore!) The duchess has revealed some very American designers as her favorites (e.g. DVF) and they're rapidly expanding into London - there's now two Kate Spade stores, a Tory Burch, a bigger Milly concession in Harrods, etc. Soon that has to impact how the big names and the high street design, and ultimately how other countries see our style... maybe even who breaks out as a British international "style icon" in the future? Sorry if this comment's really long and doesn't make much sense, but it's a topic I've been thinking a lot about recently and it's hard to get it all across concisely! love this! I adore British fashion :) and your blog! I love British style, it has history and character :) If you're interested in this then I definitely recommend reading 'Luella's Guide to English Style' ! !